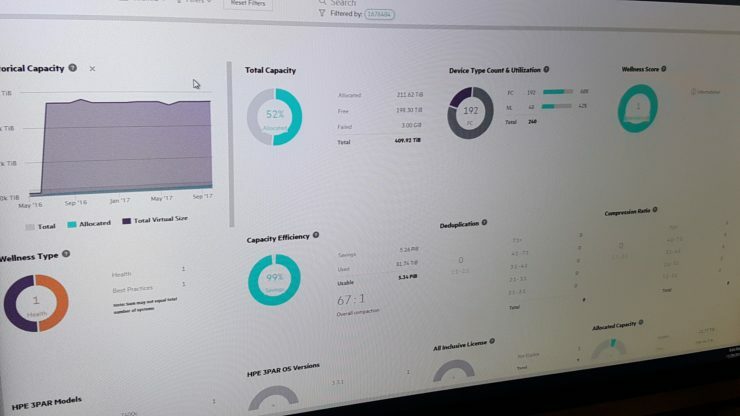 Whilst at HPE Discover I managed to nab some screenshots of the new 3PAR implementation of InfoSight. 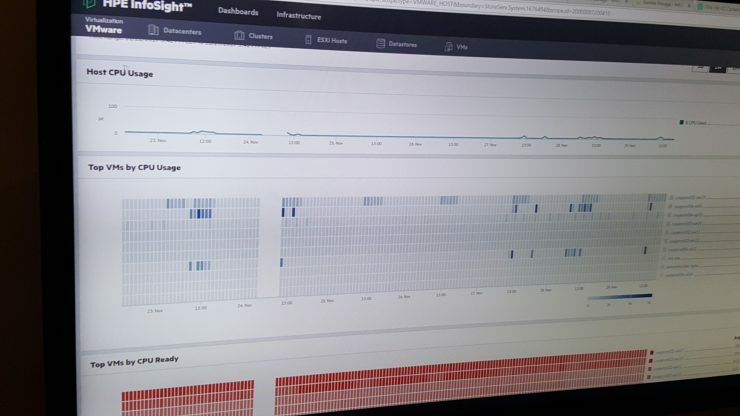 You can read my post about all the InfoSight announcements. To get InfoSight up and running with 3PAR you will need a have a minimum of 3PAR OS version 2.2.x and Service Processor (SP) version 2.4.2, since this is a very old release this should allow most customers access. If however you wish to have the the integration with VMware the requirements are a little more stringent you need to be running 3PAR OS 3.3.1, have an active support contract and have the 3PAR communicating back to base and a service processor on 5.0 MU3. 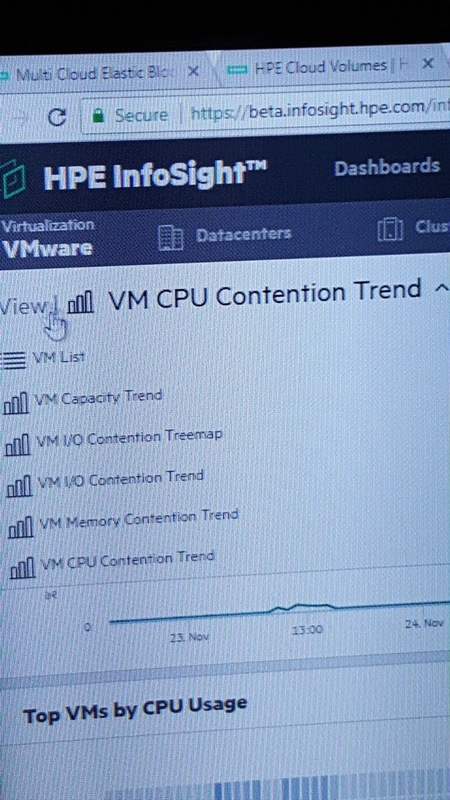 The initial release, available in January will focus on delivering greater insight into the performance of VM’s on the storage. This is achieved by adding additional functionality to the Service Processor which will allow it to talk to the vCentre in your environment. Once you have your 3PAR setup with InfoSight you will see two key areas of information, storage information which today will be the same as information being retrieved from StoreFront remote. Secondly you will see the virtualisation layer info being pulled back from vCentre. The following screens allow “noisy neighbour analysis”. 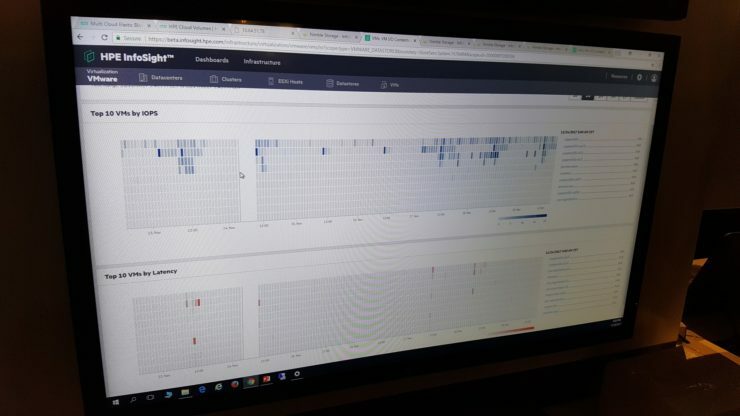 They look at various stats to identify which VMs are working your environment the hardest and potentially causing contention in the environment. Seen the 3PAR simulator video setup guide? 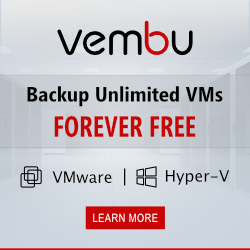 Do the VM stats still work if using VVols? Is it necessary any license? I guess that the communication with HPE base must be just from 3par side to HPE side, or do you mean from HPE side to 3par side too? 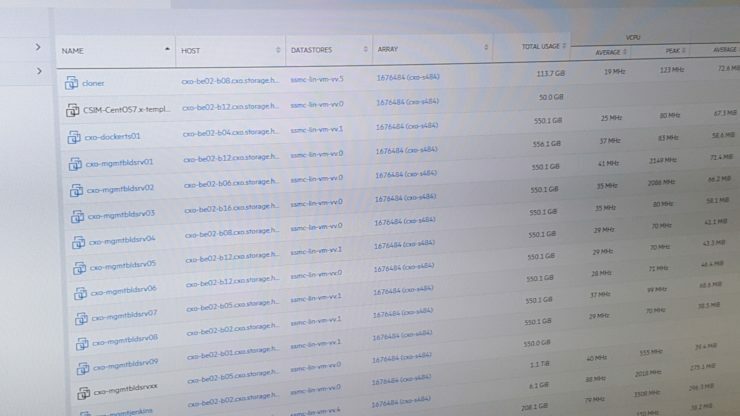 Hi Arnold, if possible, can you please edit this post… the statement “To get InfoSight up and running with 3PAR you need to be running 3PAR OS 3.3.1” is not accurate. 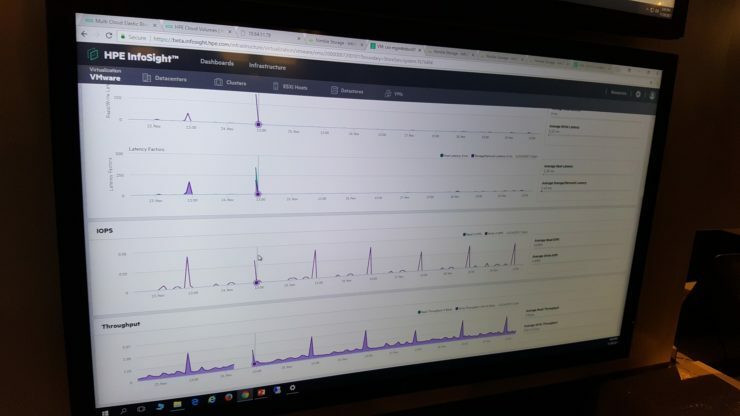 All 3PARs calling home get the benefit of HPE InfoSight (running any supported OS versions) – we still have users with T400 systems running OS 2.2.4 (MU4) under active support using HPE InfoSight today. And also note that InfoSight is not just what’s surfaced in the GUI (or the APIs found at /api/ (storeserv/storeonce/rmc)) but all the work behind the scenes in the portal to improve the 3PAR experience. 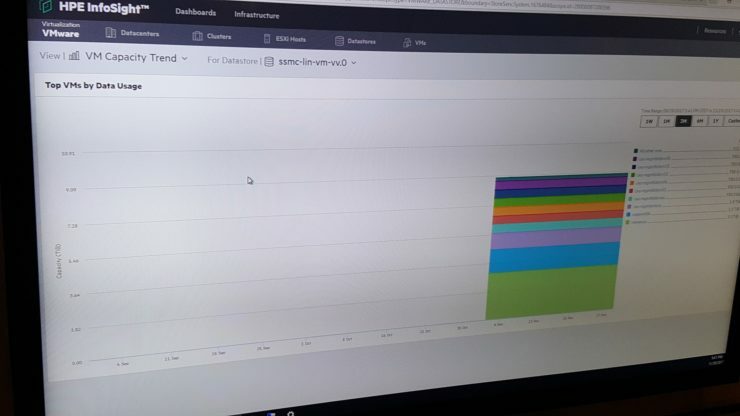 The only piece currently requiring OS 3.3.1/SP5.0.3 is Cross-stack Analytics for VMware, and that’s also being ported back to support OS 3.2.2/SP4.4 in an upcoming update. The only other comment is regarding mention of StoreFront Remote, to put in the correct context, SFRM is gone, and there is only HPE InfoSight today, the UX look/feel for 3PAR StoreServ/StoreOnce/RMC indeed matches that of it’s predecessor (and the user’s customization and history is preserved), but this will be evolving to an all new UX for both 3PAR and Nimble moving forward, taking the best of both domains to deliver even more ease of use and value to our customers going forward on this journey. We have regular updates to the portal, and releases about every 6-8 weeks. If you or any of our portal users have any questions for our development team, please use the link found in HPE InfoSight > Resources > 3PAR StoreServ/StoreOnce/RMC > HPE InfoSight Portal Support. Using the “portal support” links provides us with valuable debug information, and is a direct channel to our L4 team. Thanks for your willingness to share information on our product and solutions, it’s great to have a supporter like you!